This convenient kit includes 2 rechargeable AAA batteries and one Click 'n Charge cable to upgrade any Fun Factory Battery+ toy into a rechargeable one! 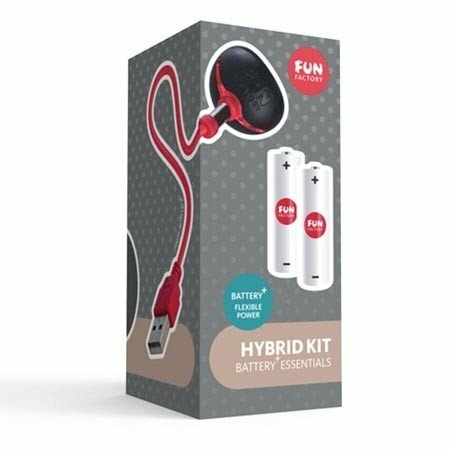 The Battery+ toy line from Fun Factory provides flexible power-- you can use them with regular batteries, rechargeable batteries, or a Click 'n Charge cable that can charge rechargeable batteries INSIDE THE TOY (like any rechargeable vibe). Fun Factory Battery+ toys sold separately. This kit works with the Mr. Boss and the Abby G.